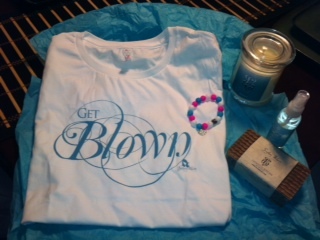 Get “blown away” with Salon Blow in today’s Brown Sugar Beauti Expo 2013! Located in the West University area of Houston, Salon Blow is a state-of-the art salon boutique that specializes in perfectly coiffed sew-in extensions and avant-garde hair styles. 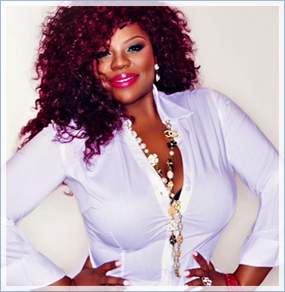 Hairstylist to the Stars Keshia Webb is a true visionary who is frequently sought after by celebs for her signature extensions. The VH1’s Basketball Wives Miami cast hairstylist has been inspired by her love of hair for more than 20 years and maintains a creative business approach in everything she does. Keshia has been trained by first-rate hair institutes, including Redken, Joico, L’Oreal Professionals and has been mentored by the best stylists in the beauty industry. A true entrepreneur, Keshia owns a bath and body, lip gloss and jewelry line; all of which can be purchased at the Salon Blow hair boutique. As an image consultant and extension specialist, Keshia is recognized as a leading expert in the fashion, film, print and special events industry. Although highly demanded by celebrities, Keshia remains devoted to her large and loyal Salon Blow clientele in Houston. Go to our Facebook page to find out how to win. You must be 18yrs or older and live within the U.S.
You must “like” the Brown Sugar Beauti and Salon Blow Facebook pages. To claim your prize, email me at Grace@brownsugarbeauti.com with your complete name and mailing address. Please claim your prize within 72 hours to claim your prize otherwise, another entrant will be selected. Our are actually the sorts of employment that men and women constantly forget to go about doing. Purely like changing the filter in their furnace.